After giving arguments against the claim that the so-called Big Data revolution has made theory building obsolete, the paper discusses the shortcomings of two views according to which there is no rational approach to theory building: the hypothetico-deductive view and the semantic view of theories. As an alternative, the paper proposes the analytic view of theories, illustrating it with some examples of theory building by Kepler, Newton, Darwin, and Bohr. 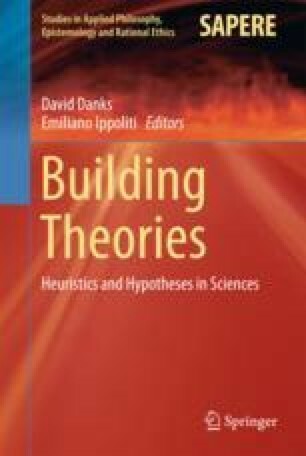 Finally, the paper examines some aspects of the view of theory building as problem solving. I wish to thank Reuben Hersh and an anonymous reviewer for their comments and suggestions. Anderson, C. (2008). The end of theory: The data deluge makes the scientific method obsolete. Wired Magazine, 23 June. https://www.wired.com/2008/06/pb-theory/. Malle, J.-P. (2013). Big data: Farewell to Cartesian thinking? Paris Innovation Review, 15 March. http://parisinnovationreview.com/articles-en/big-data-farewell-to-cartesian-thinking. Siegfried, T. (2013). Rise of big data underscores need for theory. Science News, 3 December. https://www.sciencenews.org/blog/context/rise-big-data-underscores-need-theory.